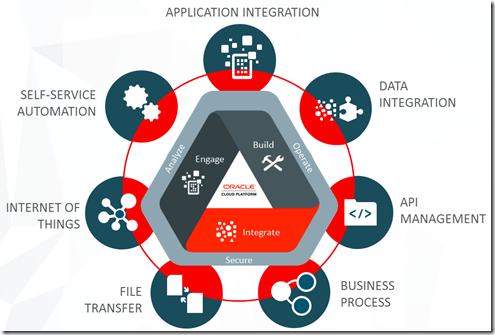 One of the very first capabilities Oracle ever introduced in its PaaS portfolio was integration. It was clear from the onset of any talk about clouds that facilities to do integration between cloud and on premises as well as between various clouds [from different vendors] would be essential. 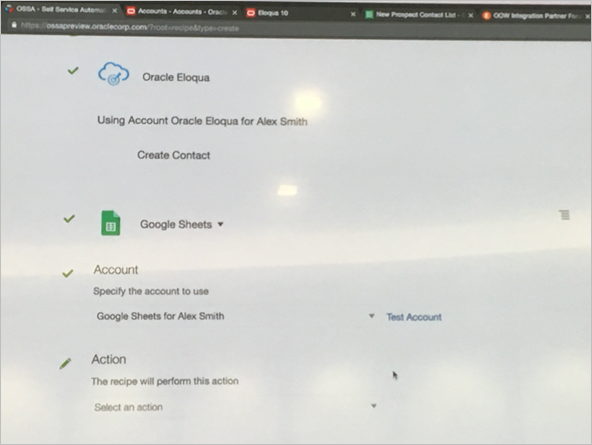 With its SOA Suite, Oracle had a very strong on premises offering for integration, and it used this foundation for its first steps on the cloud integration path. Additionally, a roadmap was outlined for the continued development of the on premises SOA Suite product that was to mimicked by the SOA Suite CS. ICS is positioned to be the premier cloud integration platform – taking over that role from SOA Suite CS. After making all [or at least most] features in SOA Suite available in ICS – and adding new ones at the same time – it will be ICS that handles all complex integration scenarios, including long running integration processes. When that happens [ maybe two years into the future? ], SOA CS is likely to gradually disappear. At that time, the parity between cloud and on premises based integration will also vanish – as ICS pulls ahead and SOA Suite falls behind. The Mapper will be further enhanced – to cater for custom XPath function, loading mapping definitions (XSLT and perhaps XQuery) from other platforms, and for a Source View of the mapping definition (that seems to indicate XSLT that can be inspected and perhaps even edited in the browser). 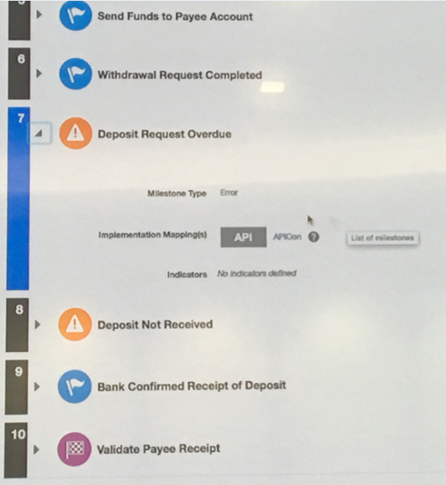 ICS will soon have REST APIs through which management operations (such as deployment, activate and deactivate, configure endpoint, clone and export and delete an integration) can be performed, in an automated fashion or from a completely custom built User Interface. 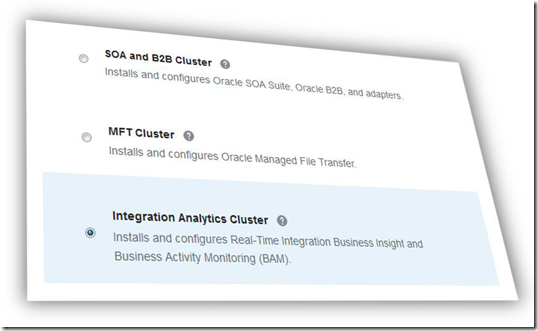 The 12.2.1.1.0 release for on premises SOA Suite was published in June 2016– with enhancements for continuous availability and JET support in BAM as most striking features; 12.2.1.2.0 will be next was next in late October 2016, with dynamic clusters as key feature. 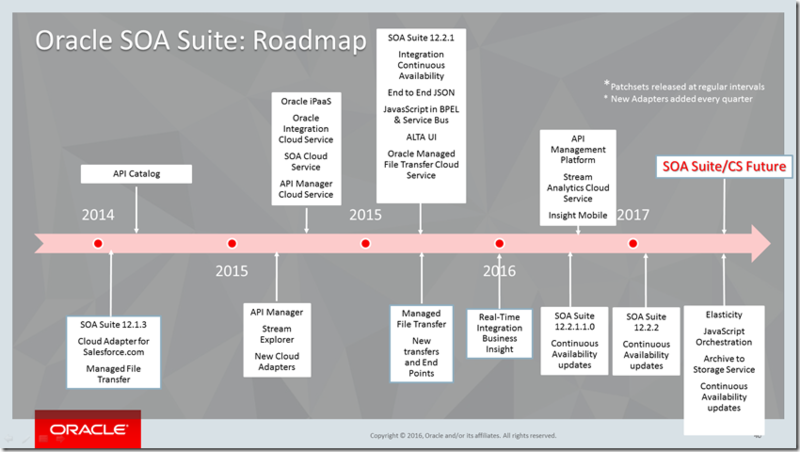 The current roadmap also includes the 12.2.2 release in CY 2017. Do not expect major leaps in functionality: Oracle considers the SOA Suite quite mature and functionally pretty much complete. The Integration Platform is closely related to the API Platform; many or even most of the services published from SOA CS, ICS and on premises SOA Suite are likely to be accessed through the API Platform CS. A discussion of this service can be read here, in my previous article. 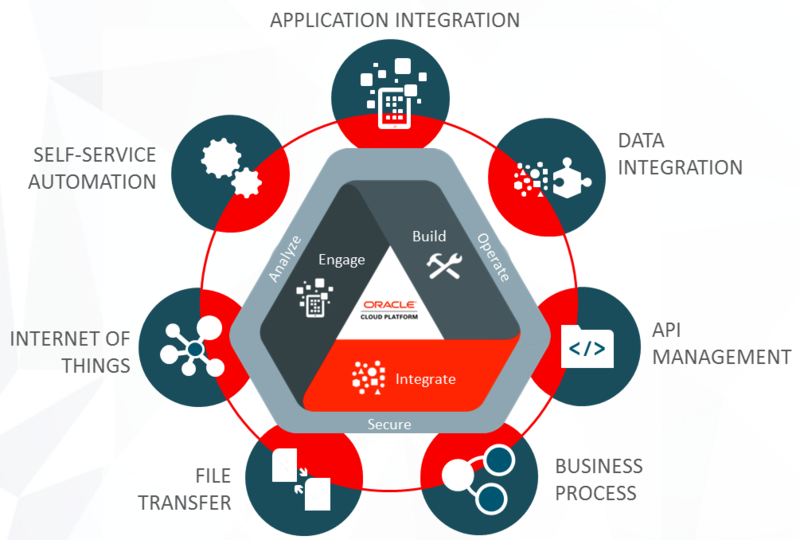 Note: currently, there is no [word of a] migration path from Oracle for integrations built for on premises or in the cloud SOA Suite to ICS, the designated primary integration platform. For the business user, a new integration product has been announced: Self Service Automation (OSSA). 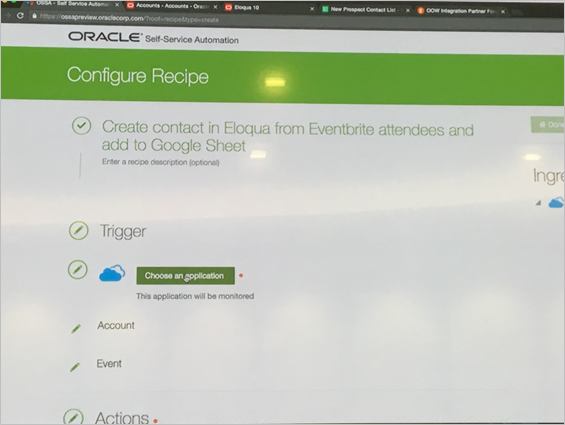 This offering allows users to create straightforward recipes, in the style of the IFTTT (If This Then That) platform, that prescribe how events in one Cloud application should trigger integration actions in other Cloud applications. 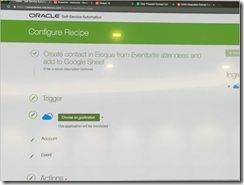 This screenshot shows an example set of Cloud Applications that can serve as either the source of a recipe (a trigger of an integration) or as the target of one. 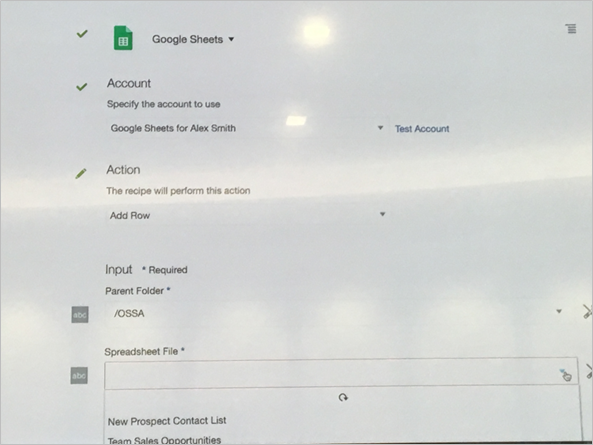 An example of an OSSA recipe is one that is executed for an event registration in EventBrite and creates a new line with registration details in a Google Sheet as well as a new contact entry in Eloqua. 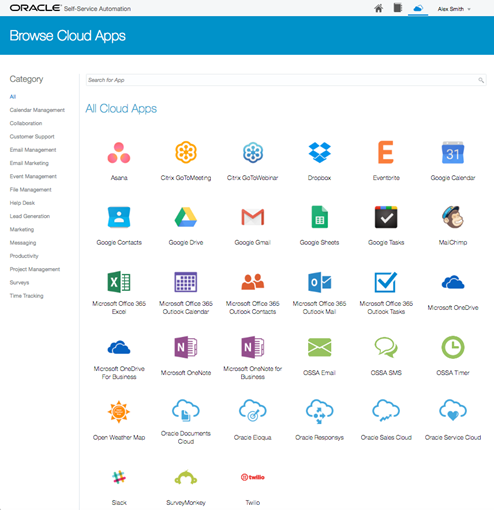 Among the cloud applications that initially will be supported are Oracle’s own SaaS products and popular 3rd party offerings such as Google Apps, Office 365, Mail Chimp, Dropbox, Asana and Slack. 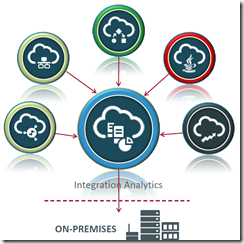 Also of interest to the business user is the Integration Analytics offering that is now available under SOA CS. 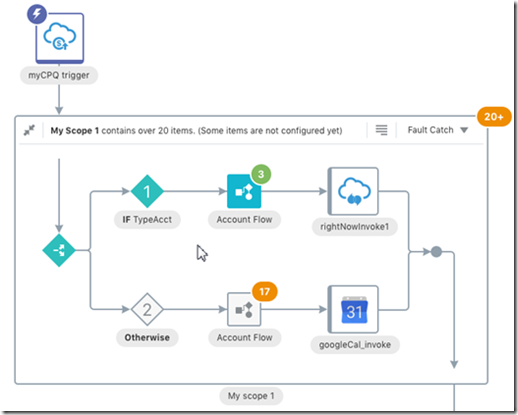 Real-Time Business Integration Insight – for collecting and presenting real time business metrics across integration flows, allowing live insight in the functional status. “Insight”has declarative integration with Service Bus and SOA Suite and shortly ICS as well. It also offers APIs that make it possible to add metrics for custom application and integration activity wherever they run, as long as they can make a REST call.This next screenshot shows how in Real-Time Business Integration Insight a milestone can be defined; the REST invocation details including a sample message are provided; these are details used by developers who need to add the REST API calls to Real-Time Business Integration Insight in their custom applications. 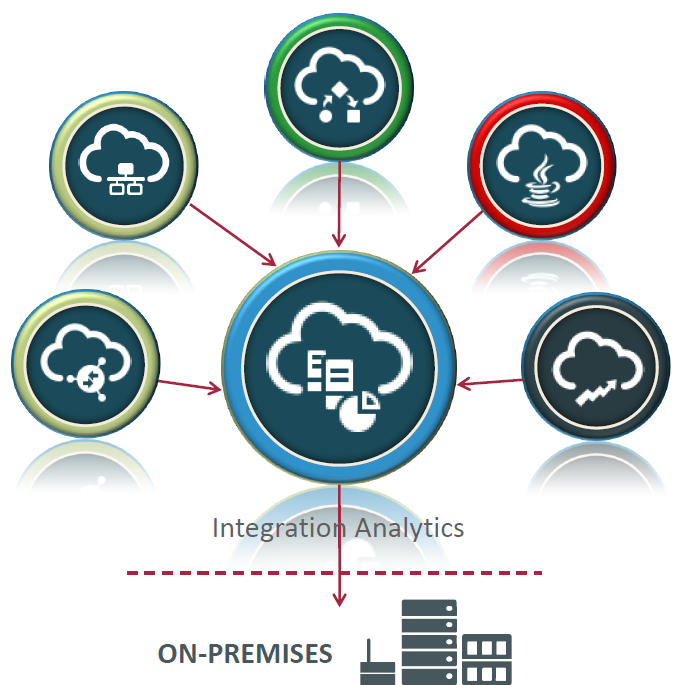 Real-Time Business Integration Insight is capable of extracting metrics from running processes and integrations – end to end chains that may span across various technologies and platforms – correlating them and analyzing them – one by one and collectively. 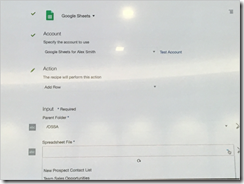 The results can be reported in dashboards, forwarded to BAM or BI CS/OBI EE for advanced analysis. Additionally, milestones can be made actionable: when a process instances reaches that milestone, a call can be made to an HTTP service. Check out this slidedeck for an in depth introduction to Real-Time Business Integration Insight as well as this blog article with an overview, screenshots and a demonstration video. 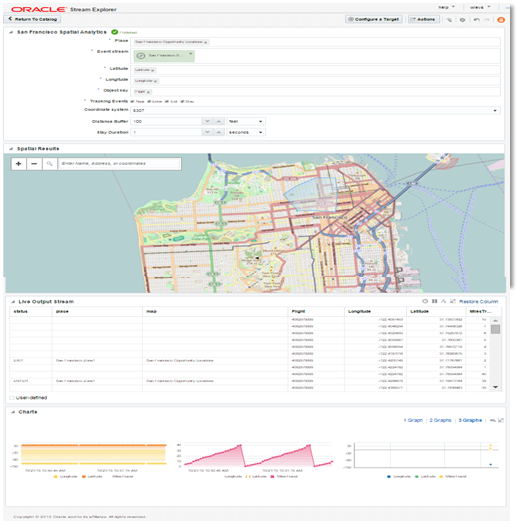 Note: there is some overlap between this product and the Customer Insights & Engagement Cloud Service (CIECS) – a service for functionally tracking application activity – and Application Performance Monitoring (APM) under the Oracle Management Cloud Service umbrella that does (primarily) non-functional tracking of such activity (health, response times). 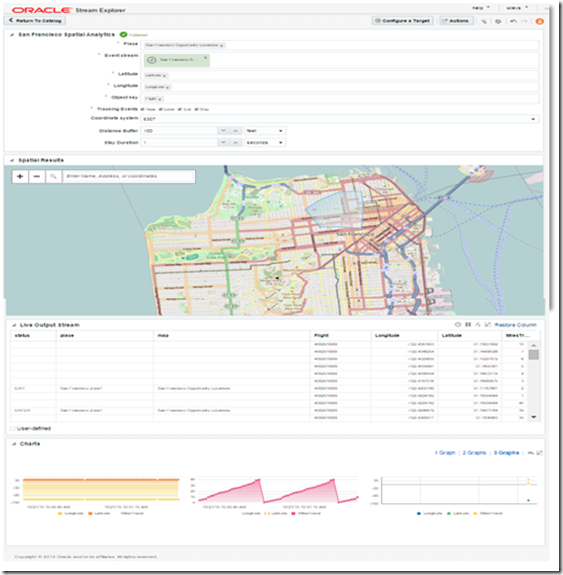 allowing free format CQL and supporting complex patterns for example around location-aware events and patterns such as geo fencing. Note: Stream Analytics is also embedded inside the IoT CS to process messages received from the devices registered in IoT CS. 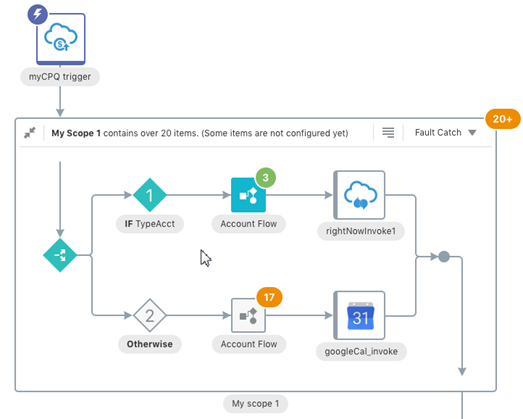 Oracle also announced the DFML (Data Flow Machine Learning) CS which is also targeted at processing streaming data; how Stream Analytics and DFML CS compare is not yet clear [to us at least]. 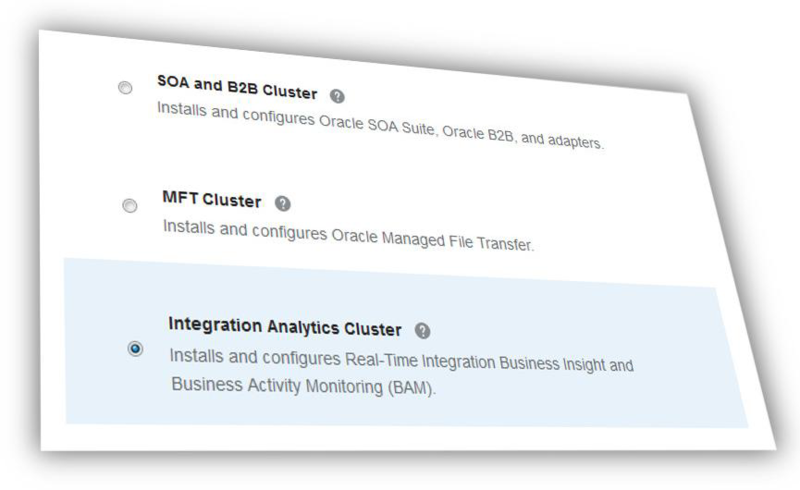 Tight integration from both BAM and Real-Time Business Integration Insight with Process Cloud Service (PCS) is not currently available, but is on the roadmap to be added after the ICS integration. JMS over HTTP is one very quick and concise description of the Messaging Cloud Service. 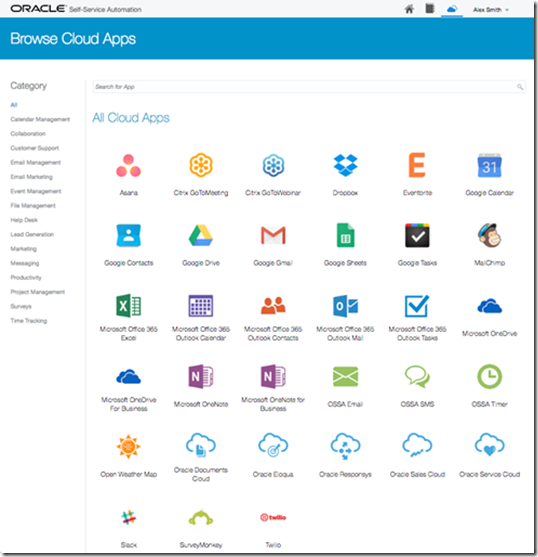 It is one of the foundational services – somewhere deep in the PaaS layer or perhaps even considered part of IaaS. 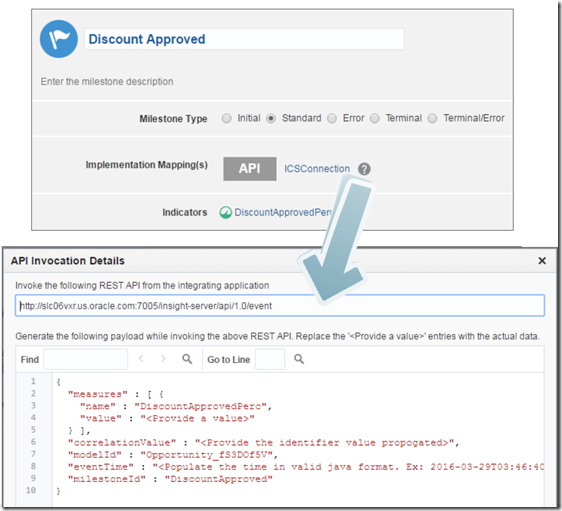 This cloud services allows messages to be sent over HTTP from anywhere to a cloud based lean publish/subscribe platform – very similar to what JMS offers in a Java EE environment. Consumers can subscribe to topics. Messages on these topics are either kept for these consumers [to come and collect them] or can be pushed if the consumer has registered an endpoint at which to receive said messages. 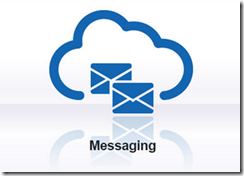 Client libraries are available to have the Messaging Cloud appear as JMS to sending applications. The Messaging Cloud Service is integrated with ICS. 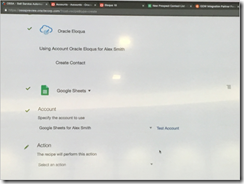 Additionally, there is also the largely unrelated Oracle Data Integration Cloud – with functionality derived from or offered by products such as GoldenGate (for near real time replication) and Oracle Data Integrator (for ELT/ETL in bulk/batch integration).